The film have a function of reflection which can improve the efficiency of plant light and increase the effectiveness use. Suitable for plant cultivation in the closed space. 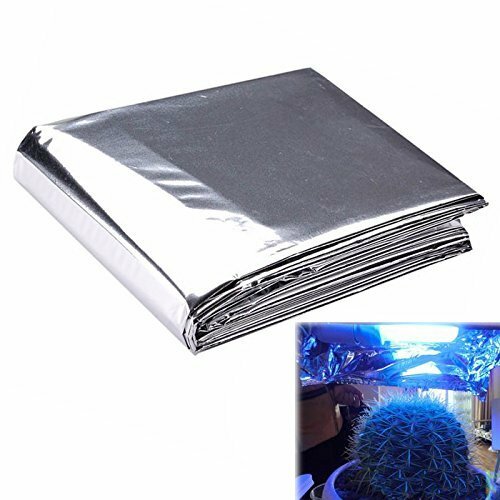 Specification: Material: mylar film Size: 210cm x 120cm (82" x 47") Color: silver Package Contents: 1 x Plant Reflection Film Warm Note: The film can be folded any shape to cover the plant light and increase reflectance. If you have any questions about this product by Reflective Film, contact us by completing and submitting the form below. If you are looking for a specif part number, please include it with your message.